Please note that all items are for local pickup or delivery only (we do not ship produce). We accept cash, major credit cards and PayPal. Simply contact us via email, phone, or even Facebook Messenger with your order and we will arrange a meetup place and time! Due to insurance restrictions we cannot offer on farm pickup at this time, however we will gladly drop off or meet you in the Poy Sippi or Pine River area for any order (no minimum)! $10 Minimum Order: Berlin, Auroraville, and West Bloomfield. Please note that all orders are subject to current availability. If your order exceeds our stock, we will contact you to discuss options. Thank you! 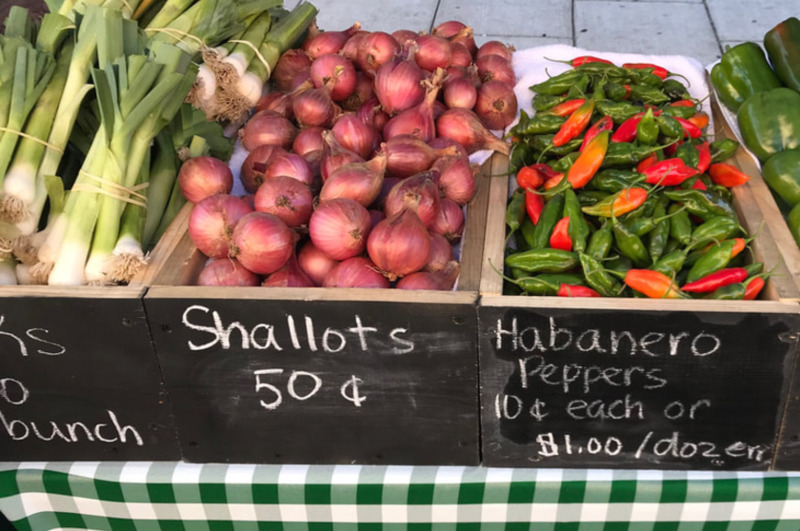 Products Overview: Staple vegetables such as Shallots, Garlic, Kohlrabi, Peppers, Cherry Tomatoes, Radish, Beans and more.